Founded 2005! Weirdness. Unmapped roads. Whispering rocks. Deadening fog. Ghost pirates. Lonely islands. THINGS in the WOODS. Home of Stephen King, Rick Hautala, and Glenn Chadbourne. A place where the four seasons really know how to live. Maine: the way life should be! This site is a nexus for conversation about Maine's unique strangeness. History, mysteries, legends, current events, cryptozoology, & more. Early Gravestones! Upcoming talk & READ THIS BOOK! What: Early Gravestones of Southern Maine Talk! Meet Portland author, Ron Romano, and hear him discuss and read from his new book! Ron is a MCMA member and Spirits Alive Board member. 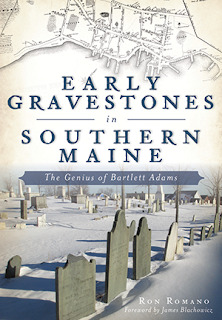 He will discuss, sign, and read from his new book as well as present slides highlighting the incredible skill of Portland’s first gravestone cutter, Bartlett Adams. Light refreshments will be served. 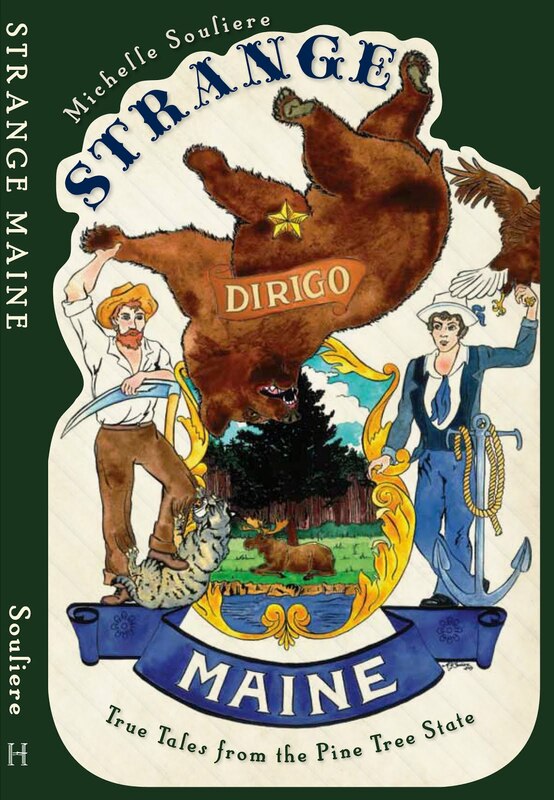 This event is sponsored by Maine Charitable Mechanic Association (MCMA), The History Press & Spirits Alive. For those of you who don't yet have this book in your gravestone-loving hands, let me tell you -- you do NOT want to miss it. Ron Romano has outdone himself. After following Bartlett's career, and giving tour after tour in Portland's Eastern Cemetery highlighting his stonework, Romano was encouraged to write his account of Bartlett's life and craft. Luckily for us, he really did it! It is a fascinating story from start to finish, and interwoven as it is with Romano's account of his search for the tale, it had me wanting to go out and search out Bartlett's signature in Maine's graveyards myself ASAP. This is the gauge of quality of Romano's work -- he explains the finer points of gravestone studies in a way that makes you want to join in the gathering, and at the same time paints a picture of Bartlett's own life and times that brings them to life in your mind's eye. This is a rare thing in a history book. I recommend you buy it and experience this for yourself. Contents (c)2005-2015 M. Souliere or their respective authors. Simple theme. Powered by Blogger.